The Maroons had to have the momentum going into singles in order to reach their fifth straight semifinal appearance. Unfortunately, momentum was on No. 2 Claremont-Mudd-Scripps’ (31–0) side as the Athenas took an early 2–1 lead. Claremont–Mudd–Scripps did not lose steam, defeating No. 8 Chicago (18–6) 5–1, ending another incredible Maroon season. The Athenas’ first point of the semifinal came at No. 2. Second-year Megan Tang and first-year Helen Sdvizkhov were down 7–0, took two games, but ultimately lost 8–2 to Kristin Lim and Caroline Ward. Lim won the 2011 NCAA DIII Singles Championship. With the score tied 3–3 at No. 2 doubles, fourth-year Linden Li and second-year Kelsey McGillis lost three straight games, eventually falling 8–4. Chicago avoided being swept in doubles through sharpness from the Second Team All-UAA No. 3 tandem of second-year Maggie Schumann and first-year Sruthi Ramaswami. The pair took a 6–3 lead and with the game close at 7–5, Ramaswami held serve to put the Maroons on the board. Kristin Lim and Ward carried their sharpness onto singles. Lim defeated Tang 6–2, 6–1 at No. 1, and Ward bested Li 6–0, 6–1 at No. 2. Sarah Kukino defeated Kelsey McGillis 6–1, 6–1. Even though the Maroons return almost all of their young lineup, they will be without Li next season. 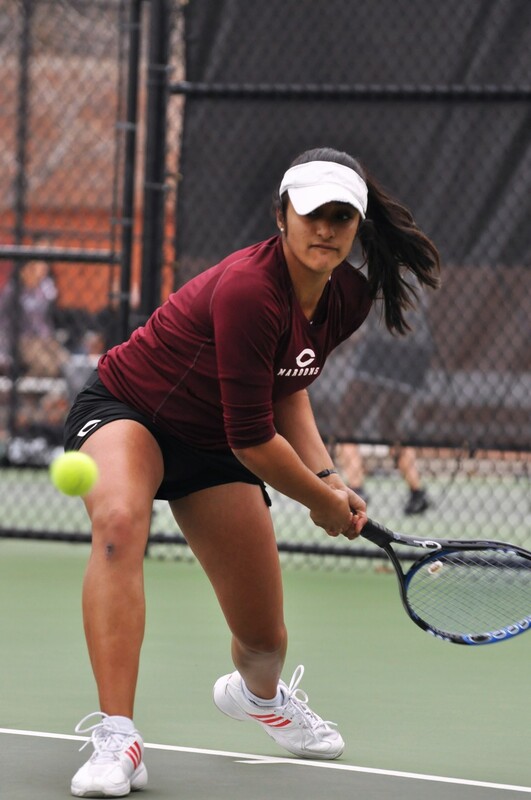 Li finished her career as a Maroon with a 68–24 mark in singles and 82–26 record in doubles. In a season where three players left due to graduation and a new coaching staff took over, it is hard to say that the Maroons did anything but overcome adversity this year. For two Maroons, however, the season is not quite finished. Tang and Sdvizkhov will end their seasons at the Individual NCAA Championships. Tang will compete in singles and doubles, while Sdvizkhov will play with Tang in doubles. Action begins this Thursday in Kalamazoo, Michigan.